Let’s dive into arginine and the many benefits this amino has to offer. Bodybuilders use arginine to boost growth hormone levels. Arginine appears to bump up GH by cutting down the release of growth hormone inhibiting hormone, which curtails the release of GH. By decreasing GHIH release, arginine boosts GH output. In the late ’90s, nitric oxide was found to play a critical role in numerous physical processes. It was also discovered that the body produces NO from arginine. That finding initiated a wave of NO supplements containing arginine as the main ingredient. Nowadays, NO’s ability to dilate blood vessels is the main reason bodybuilders take arginine. Dilated blood vessels are open wider, allowing more blood flow through to the muscles, along with greater amounts of oxygen, nutrients, anabolic hormones and water. This results in a bigger muscle pump, greater strength (as discovered in a 2006 study), increased muscle growth and even fat loss (as was shown in a 2007 study). To enjoy all the benefits this alpha amino offers, you need to be concerned with several factors: timing; the form of arginine you take; proper dosing; and, to boost its effects, stacking arginine with other supplements. This is one of the most critical aspects of taking arginine. When it comes to higher NO levels, no time of day is more important than 30-60 minutes before workouts. Boosting NO levels preworkout will dilate your blood vessels to provide your muscles more blood flow, oxygen, nutrients and anabolic hormones. This will create a greater pump during the workout, as well as increase your energy levels and allow you to train harder and longer. It will also benefit muscle recovery and growth afterward. In fact, you should consider having a second dose of arginine at the end of your workouts, further boosting blood flow to your muscles for even greater muscle recovery and growth. Taking arginine before and after workouts will also boost GH levels at a time when those hormones can really enhance muscle growth and fat burning. Another important time to take arginine is first thing in the morning — this will raise GH and NO levels, so you can start your day in an anabolic state. Also take arginine about 30-60 minutes before bed — bumping up GH levels while you sleep can enhance recovery and muscle growth. “ Because arginine is absorbed better with an empty stomach, take each dose no sooner than an hour after your last meal and no later than 30-60 minutes before the next one. Because arginine is absorbed much better when your stomach is empty, you should take each dose no sooner than an hour after your last meal and no later than 30-60 minutes before your next one. Of course, this can be somewhat difficult around workout time, when you should also consume a protein shake and carbs. To accommodate both, take your preworkout arginine dose 30-60 minutes before your preworkout protein shake and carbs. Have your postworkout arginine dose immediately after your workout and consume your postworkout protein shake and carbs 30 minutes later. Take the morning dose of arginine immediately after waking up, then wait 30-60 minutes before eating breakfast. Have your evening arginine dose 30-60 minutes before your last nighttime meal. The most common forms of arginine you are likely to see for sale are L-arginine, arginine alpha-ketoglutarate and arginine ethyl ester. The simplest form — one that’s been available the longest — is L-arginine, which is arginine by itself. Research studies confirm that this form of arginine is effective for boosting GH and NO levels. Yet some scientists have reported that L-arginine is somewhat poorly absorbed by the body. Some of the newer forms of arginine appear to be better absorbed and utilized. Arginine alpha-ketoglutarate is composed of two arginine molecules attached to an alpha-ketoglutarate molecule. This newer form of arginine is believed to be absorbed more easily by the intestines. The alpha-ketoglutarate molecule is a precursor to the amino acid glutamine. Several studies show that this form of arginine increases strength and muscle gains. Another new form of arginine, arginine ethyl ester, is arginine with an ester group (an acid and an alcohol) attached to it. The addition of the ester group enhances the ability of arginine to pass across cell membranes such as the intestines, which allows for easier absorption and utilization by the body, as well as other tissues such as muscles. If you are using L-arginine or arginine alpha-ketoglutarate to boost NO levels, you will need to take in 3-5 grams at each dose. If the form is arginine ethyl ester, you can drop the dose to 2-3 g, due to its better uptake. If your purpose is to boost GH levels, you will need to take about 9 g for maximum effect. This is likely due to the fact that 3-5 g of the arginine you take will be readily converted in the body to NO. Therefore, it requires an extra few grams to bump up GH levels. If using arginine ethyl ester, you can probably get away with doubling the dose to about 6 g.
If you read the ingredients list on most NO boosters, you will likely notice that in addition to arginine, the products include multiple other supplements. These are added to enhance the effects of arginine. One common addition is citrulline. This amino acid not only promotes energy, but also increases blood levels of arginine, which can then be converted to NO and GH. Look for supplements that provide 1-3 g of citrulline per dose. The body requires an enzyme called nitric oxide synthase to convert arginine to NO. To maximize the amount of arginine that is converted to NO, you need to take a supplement that increases the activity of NOS, such as 50-100 milligrams of Pycnogenol (a trademarked extract of the French maritime pine tree), or 100-200 mg of standardized American ginseng. You should also consider using supplements that decrease the breakdown of NO to enhance its benefits in the body for even longer. An easy way to do this is to take 500-1,000 mg of vitamin C, as research shows this vitamin protects NO by preventing its degradation by free radicals. In addition to supplements that boost NO production and decrease its breakdown, you should also consider taking supplements that increase blood flow through a mechanism that doesn’t rely on NO. Rutaecarpine is an extract of Evodia rutaecarpa, an herb that promotes blood vessel dilation by altering calcium levels in the cells that form blood vessels. 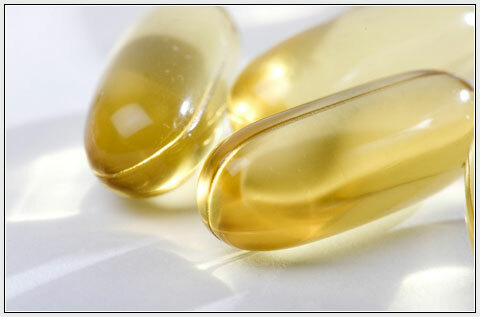 Take 10-100 mg of rutaecarpine with each arginine dose to maximize blood flow. Use the following guidelines to get maximal benefits from arginine. You can buy each supplement separately and take them together or look for products that include them all. NOTE: Supplement with arginine immediately after waking up in the morning, 30-60 minutes before workouts, immediately after workouts and 30-60 minutes before going to sleep at night. Is it safe to take if I’m only 17? Is it fine to take in pill form? It is not a problem that you are 17 because arginine is something everyone needs and it does not have side-effects. Just use it in normal dosages or buy BCAA aminos. 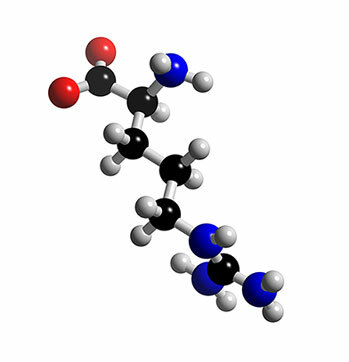 Arginine, otherwise known as L-arginine, is an amino acid produced by the body. This amino acid is classified as semi-essential, meaning it assists specific processes in the body, such as getting rid of ammonia and helping with the production of creatine. People with some disorders–including infection, protein deficiency or an excess of ammonia–may not have enough arginine. Normally, however, healthy bodies produce just the right amount. 1. Nuts contain high levels of arginine. These foods include peanuts, walnuts, cashews, almonds and sunflower seeds. 2. Animal-protein foods like chicken, tuna, salmon and pork contain arginine. 3. Dairy products such as milk, cheese and eggs are a significant source of L-arginine. 4. Other foods that contain arginine are coffee, chocolate, oats, cereals and soy products. 5. Arginine is offset in the body by an essential amino acid called lysine. Excessive arginine intake can cause or aggravate a cold-sore outbreak; it is important for people with the herpes simplex virus to consume enough lysine while moderating arginine foods. Great information on arginine. I wonder if any studies have been done to compare results from eating arginine foods vs. taking an arginine supplement; i.e., eating foods naturally dense in arginine as opposed to taking it in pill form. So, if L-arginine is somewhat poorly absorbed by the body, is it still better absorbed than dense arginine foods? Arginine seems to enhance muscle tone a little bit. I take it as part if the Max Powers ‘Anabolic Stack’ and it Definite increases power when combined with those other ingredients in the stack. it is extremely obvious that it does relax blood vessels because my.. um.. thing.. becomes more vascular consistantally when taking this product. I googled this effect and found out than many male enhancement products contain around 2000 mg of L- arginine a day. -help make more nitric oxide which relaxes blood vessels. +A study was conducted on taking this product after a heart attack and 6 people died. None of the placebo group died. I wouldnt just take arginine by itself – definite take it as part if the stack – my favorite is the Dr Max Powers anabolic stack – been using it for 3 years now…..
How long should I do that stack for ?? Arginin and BCAA is the best source energy for me , very useful informations, thanks for sharing.